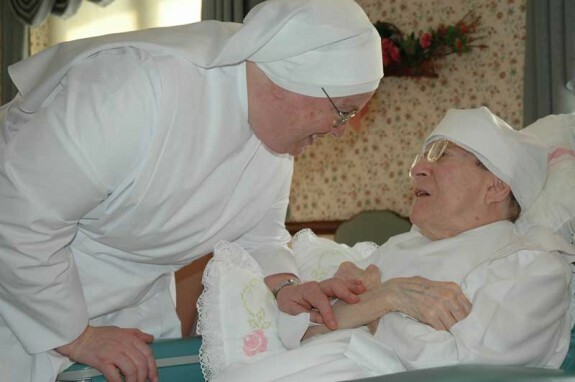 Today, the Becket Fund for Religious Liberty filed a lawsuit on behalf of the Little Sisters of the Poor, a religious order of Sisters dedicated to caring for the elderly poor (see video). Without relief, the Little Sisters face millions of dollars in IRS fines because they cannot comply with the government’s mandate that they give their employees free access to contraception, sterilization, and abortion-inducing drugs. The Little Sisters are joined by their religious health benefits providers, Christian Brothers Services and Christian Brothers Employee Benefits Trust, and a class of other religious organizations facing similar fines, in the first class action lawsuit against the Mandate. The Little Sisters of the Poor are an international Roman Catholic Congregation of women Religious founded in 1839 by St. Jeanne Jugan. They operate homes in 31 countries, where they provide loving care for over 13,000 needy elderly persons. Thirty of these homes are located in the United States. Although the Little Sisters’ homes perform a religious ministry of caring for the elderly poor, they do not fall within the government’s narrow exemption for “religious employers.” Accordingly, beginning on January 1, the Little Sisters will face IRS fines unless they violate their religion by hiring an insurer to provide their employees with contraceptives, sterilization, and abortion-inducing drugs. The lawsuit is the first of its kind both because it is a class-action suit that will represent hundreds of Catholic non-profit ministries with similar beliefs and because it is the first on behalf of benefits providers who cannot comply with the Mandate. The lawsuit was filed in federal District Court in Denver. There are now 72 lawsuits challenging the mandate.